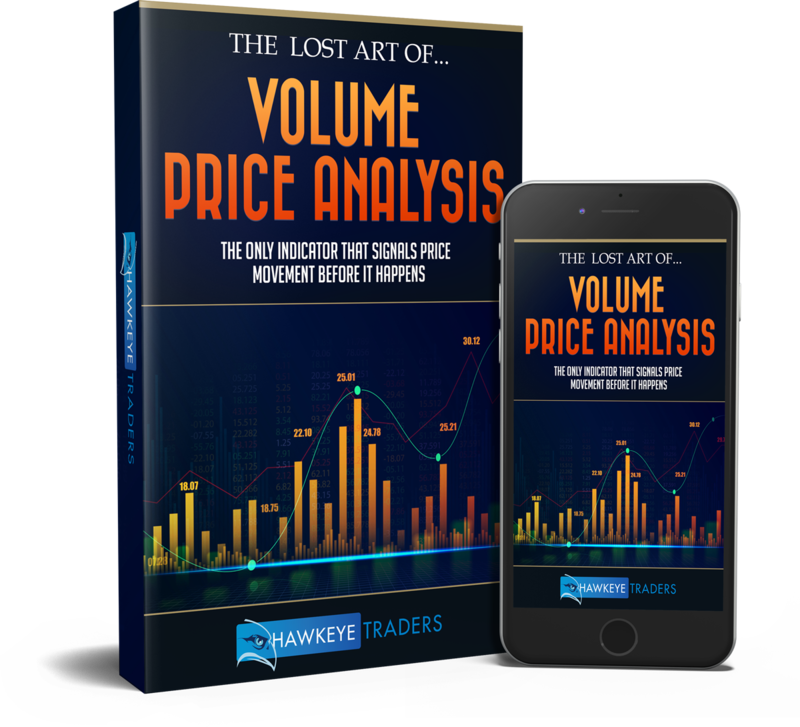 Free ebook - "The Lost Art Of Volume Price Analysis"
The financial markets are driven by two forces: volume and price (momentum). Understand how they work and you’ll have the roadmap for your journey as a trader. Professional traders acknowledge Volume as a leading indicator. We use Volume to confirm the strength of a trend or no demand. The markets are extremely efficient and will normally return to fair value. Hawkeye Volume is at the heart of our suite of unique and powerful trading indicators and tools. It’s designed to help you exploit trends and capture profits from the market. I LOVE Hawkeye! Finally, I have a clear set of rules and unique indicators that allow me to focus on trading opportunities with the highest reward and lowest risk. I am beginning to consistently make more points with fewer trades. I have been to other seminars most of them were too large to be able to ask all the questions you wanted. Your lucky to ask one or two questions and most of the time with no ability to follow up on your question. At the Hawkeye seminar we had an unlimited time to ask all of our questions and followup on them, which meant that everyone in attendance was able to get his or her questions answered. Hawkeye has been instrumental in my success as a trader and frankly puts the entire market into a perspective that I never had, and I never saw anyone else take the chaos called the “market” and put some order into it. Randy is extremely knowledgeable, not only in Hawekeye trading, but in trading and markets in general. He explained the course material in terms I could understand and answered all questions thoroughly. Randy showed genuine care and concern that his students be successful. For anyone who wants to trade as a business I highly recommend the Hawkeye Method. Hawkeye does not just sell you indicators. 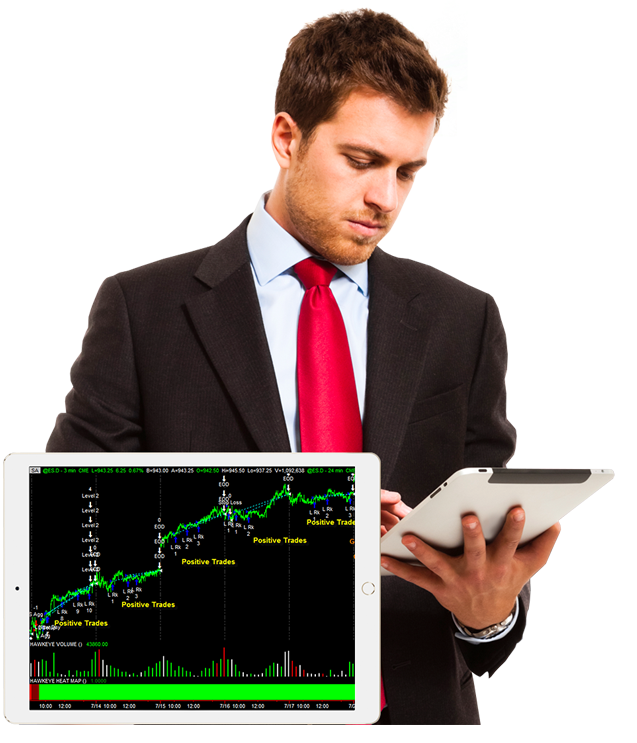 You get a proven method for trading and great ongoing education on how to succeed. Hawkeye uses a systematical approach to make money consistently in the markets using whatever time frames you prefer to trade. …Don’t mean to come across over zealously, but I deal with dozens of vendors/contractors/customer support on a weekly basis. It’s been quite a while since I’ve had a such a good experience. Your company stands out as exemplary! A company that cares about its customers (current and potential). Keep up the good work. The seminar was the BEST and you guys are just wonderful! I went to Nigel’s seminar, where he demonstrated the indicators on a LIVE market and I was sold! Since I bought the indicators, I have been consistently profitable. I found the indicators to be simple and they don’t clutter my charts up. I found that as a person, Nigel is a genuine person, who does care about your trading and not some scam artist trying to market an otherwise free indicator, like a moving average, just to make money because he couldn’t make it trading. Randy: I just wanted to say thanks for all your help this past year, you truly go beyond what is expected. I have made great strides in my trading career this year, with the Hawkeye system and with many hours of work on my mindset. I do believe the system is 10%(Hawkeye a great 10%) and the traders mind 90%. You and Nigel give me the confidence in the system and now I have the confidence in myself. I am looking forward to the new year! I hope you do remember that what you do can and does change people’s lives. Best wishes for a wonderful holiday season and a new year filled with peace and happiness. I have to say the Hawkeye Levels still amaze me with how accurate they are. Below is a recent trade which they nailed! $475 trade in 9 minutes! THANK YOU for great indicators! I wanted to thank you very much for hosting the terrific webinars the last couple of days. You are a great teacher and a kind, patient person and I really appreciate it. I signed up for them because I have been receiving a variety of e-mails from Hawkeye for quite a while and I wanted to ‘check it out.’ I’m glad I did because I’m getting a lot out of just following along looking at what you are doing. That brings me to the nuts and bolts. 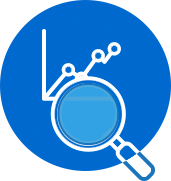 The Hawkeye tools add structure to an unstructured market. Nigel’s experience, commitment & passion to assist other traders is both obvious & effective. I know because I’ve benefited greatly from this experience. 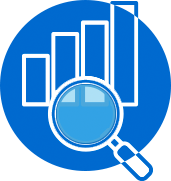 In Hawkeye, we have found the simplicity and reliability we were looking for in a trading system, and the consistency and professionalism in the company that backs them up. Getting started, the indicators are easy to set up and understand…Nigel practices daily what he preaches and encourages his customers to focus on developing their trading skills rather than constantly searching the universe for the next best indicator. Hawkeye works equally well in all markets right out of the box, which makes it particularly attractive to the part time trader/investor. The seminar was the BEST and you and Nigel are just wonderful! I truly believe these Hawkeye indicators are unequivocally the best system I have used. The RadarScreen indicators are a great addition! After only a week of the 30 day trial I am already convinced that the Hawkeye trading method is exactly what I have been looking for. I am very pleased with the indicators and also the integrity of your entire organization. I think that you are perhaps the best trading teacher I have ever listened to. However I have not attended any of Nigel’s seminars…yet! Thanks for the great training you did in California. Ana and I both learned a lot about how the markets move and how to stay out during the congestion periods. Best wishes to you both. You’re a genius!! I did Roadkill all day with the TTO stop and I’m 84 pips ahead! You were right – I can’t use the scalping technique while I can’t be at the computer the whole time. But who cares?! Roadkill works just fine! Couldn’t resist sending you the attached chart on CBOT wheat today – WH08. Is this a perfect Hawkeye play or what?!?! How could you go wrong with those dots? Overall drop was 104 cents; each cent worth $50 per contract. Absolutely fantastic! The closest thing to the Holy Grail that I have found. It was really a nice surprise to receive your e-mail with the ELD attached. When I signed up, I thought, that will be the last I will hear from you. But last night when I received the ELD, I put it on my Daily and IntraDay charts. It is really great, I do use my own Volume/Price indicators, but, were taking me in the trades much earlier and were giving me lots of heartburn medication. Then I watched all the free videos you have on the web, then I thought, I bet, he has not given me the same indicator that he uses and sells. SOOOO, I compared MRK video and the charts with my charts and your indicator and I was wrong, You have given me the same ELD that you use. That is the first time I have seen anyone from the trading world giving away free. And I really appreciate that. Today I watched like a ” Hawk ” on intra day charts, and compared my indicators to yours, with mine I still wouldn’t have lost money, but, with yours I will manage to stay away from heartburn medications. I had been a pit trader for well over 15 years. Making the transition from a pit trader on the floor to trading off of a computer screen is particularly difficult. I tried various systems and had gone to several seminars prior to finding the Hawkeye Trading system while using eSignal. I found the HawkeyeTM Trading System, logical, consistent and UNCOMPLICATED. Using the Hawkeye System has taken the emotion out of trading and has dramatically improved my performance. In order to sharpen my skills I met with Nigel for a day to review the system and I came away with a deeper understanding of exactly how the system operates, how to use the system and how to tailor the system to my personal trading style. In addition, Nigel has provided me with phenomenal support both via the telephone, email and picture style support. I would highly recommend the system to anyone that is a serious trader. Just a quick note to say how I am getting on with the EIPs. They have been spot on so far, did an excellent trade in Misys Options last week selling yesterday, 52% profit in 5 days not bad. Are you watching the Comex copper! Excellent short in the FTSE100 last week, the indicators were 2 days ahead of the game. Really pleased with the program. 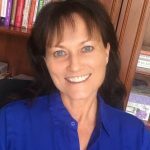 I have been meaning to mail you for some times now – really to congratulate you on all the hard work and brainpower that you have expended in creating the HawkeyeTM Trend System. It undoubtedly works and, on recent history, is working very well indeed. There have been some super signals – and they keep on coming. You may take it that I am very pleased with it indeed (it hasn’t stopped me day trading the equity market yet but it may well one day!). Many thanks and well done. I also read all your replies regarding my own trades, as well as all the e-mail you distributed amongst the group. I found these very helpful in confirming my understanding. I’m not the only one that has expressed admiration and thanks for your help. It’s comforting to know that there is a teacher (a real professional trader!) that I can talk to when I feel unsure about something. I hope that you still won’t mind me writing from time to time! Absolutely fantastic set of indicators! The closest thing to the “right” side of the Holy Grail that I have been able to find. I have taken several seminars and tried different systems and indicators. Some were just plain hard to understand, while others were a lot of work to use. I recently found Hawkeye Traders and wish I had found them a long time ago. Hawkeye’s system of indicators is easy to use, easy to understand, doesn’t require a lot of work to stay on top of the markets, and most important to me, it works. Their online classes are taught by an experienced, patient, and helpful tutor that answers all your questions. In the classes they show trades in real time – not cherry picked trades. There is no holy grail in trading but in my opinion, Hawkeye Traders is the closest thing to it. 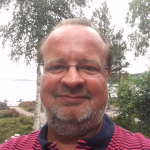 Sven has worked in sales all his life, traveling around the world but in recent years the stress has affected his health. He inherited some money that he invested with his bank and felt they were not getting the job done. Meet Vauna G. Vauna bought the full suite of tools right off the bat. In no time she was able to retire from her career as a nurse and now trades full time! You agree to receive periodical communications from Hawkeye Traders, including training, special offers/marketing emails, and newsletters. We never share your data with any third party and you can unsubscribe at any time.